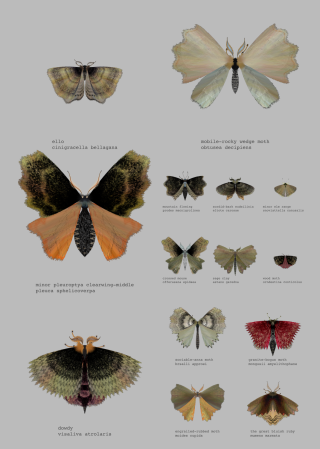 Created by artists Loren Schmidt and Katie Rose Pipkin, @mothgenerator is a Twitter account that automatically produces images of make-believe moths, with the structures and colors of the insects’ bodies selected and combined by chance. Randomly generated nomenclatures also accompany each specimen so the resulting Twitter feed — which sends out images a few times each day — exists as a kind of online, Dadaist encyclopedia of moths, making it essential viewing during National Moth Week, which begins Saturday. Source: A Twitter Bot That Generates Beautiful, Imaginary Moths.